Seems as though the Government’s gusto for handing power back to Parliament has already dampened. They decided to set up a Reform Committee which would get to set out how new powers – including Parliament scheduling its own business – would work. At the moment the Government gets to decide what things are debated, and when – enabling them to use scheduling to their own advantage. After a lot of big words the signs were that ministers were ready to let Parliament control its own scheduling, until Harriet Harman published the motion laying out what powers the Reform Committee could discuss. It talks of the committee discussing the scheduling of “non-governmental” business. See it here, click and scroll down to number 66. That means Parliament would not get to schedule any of the laws put forward by Government – 85% of what goes through the Commons. So to a House which is meant to be the main check on Government, ministers are effectively saying, “you can have more power over everything – but the Government”. Is it me or does this feel a little amateurish? The clothing company that Stephen Dorrell MP, former Health Secretary, is chairman of is in dire straits. Wensum has announced it won’t be able to publish its annual accounts and shares are no longer being traded. The firm merged with Dorrell's Crown East business in December 2008 at a point when its shares were trading at about 26p. Dorrell took over as Chairman of the combined group on June 10, five days before they announced the suspension of trading. An MP I was chatting to earlier said he’d wanted to call Tony Blair a “war criminal” during the Iraq War Inquiry debate today. When he ran the idea past the Commons authorities they said he may not make it to the end of his speech if he did. The English language was "rich enough" to say what he wanted to say, they informed him, without using words which were likely to cause a "sharp intake of breath." UPDATE 25/06/09: Just in case you hadn't worked it out, the MP was Alan Simpson and he worked out a way to say what he wanted quite well. Pat Hewitt has informed Lobbydog that she was one of the MPs who sponsored John Bercow in his campaign to win the Speaker's chair. Every candidate needed 12 to 15 sponsors, at least three of which must be from a different party. Tory MP Edward Garnier reckoned there was only one Conservative member on Bercow's sponsor list. I guess it was Julian Lewis MP as he was dutifully holding up little prompt notes for Bercow while he tried to do the "speaking without notes" trick at the election debate on Monday night. Meanwhile, I've learnt that the notorious Keith Vaz – who pops up in all sorts of newspaper stories – also played a role in Bercow's campaign, though I’m not sure what yet. 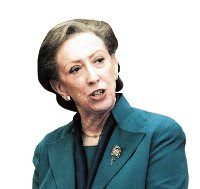 When I spoke to Margaret Beckett last night she sounded angry – if I was her I would be too. Just over two weeks ago she was sacked from the Government, without really being given a good reason by the PM. 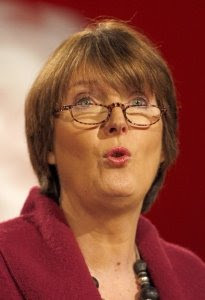 Then, some say by Gordon Brown’s design, she was encouraged to stand for the Speaker’s position – possibly with the promise of support from whips. No doubt many a Labour MP will have pledged support and there was the prospect of back-up from Tories disgruntled with Bercow. The whips’ involvement back-fired, the Tory support didn’t come and her backing fell away after the first ballot – despite more votes being available. She wasn’t willing to speak openly last night, but I suspect she feels as though she has been led up the garden path. 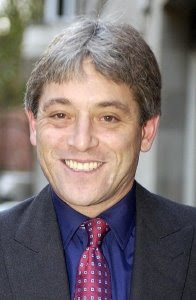 After seeing some Tory MPs’ expressions last night I guess it’s not surprising that there is already talk of an attempt to flush Bercow away after the election. When he was giving his victory speech Bercow started to say that the first thing he thought of after winning was his “wife”. But before he could say that last word, a Tory MP – I’m certain it was Nadine Dorries – shouted out “wages”. She’s just been on the Today show claiming Bercow only got three votes from Tory MPs. Talk of an overthrow may be sour tittle-tattle that will subside, but it highlights a major obstacle for Bercow in pushing through any reform. There were 15 to 20 people on the Tory benches who simply refused to applaud John Bercow when his victory was announced in the Speaker’s election. The looks on their faces were simply priceless. 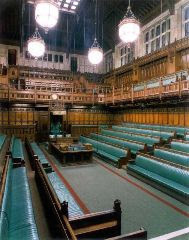 When Labour MPs rubbed salt in the wound by making it a standing ovation some gave-in and began clapping, others remained glued to the benches. Their collective jaws ground as Bercow promised not to launch into a lengthy victory speech – only to then go and do just that. 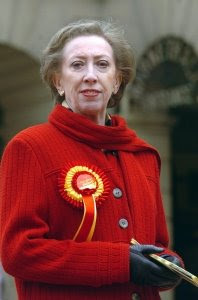 Technically she goes through to the next round, but the voting figures look ominous for Derby MP Margaret Beckett. She got less than half the number of front runner, John Bercow, and the votes of the bottom four candidates, who got knocked out in the first round, don’t look likely to be redistributed her way. Those who voted Parmjit Dhanda will be looking for a reform candidate, which Beckett ain’t. Meanwhile Tories who voted for Sir Michael Lord, Sir Patrick Cormack and Richard Shepherd will be drawn to Sir George Young. But Bercow is looking like a very strong favourite to win overall. On another note – how did Sir Michael Lord only manage nine votes when you need between 13 and 15 to get nominated in the first place? John Bercow, 179, Sir George Young, 112, Margaret Beckett, 74, Sir Alan Haselhurst, 66, Alan Beith, 55, Ann Widdecombe, 44, Parmjit Dhanda 26, Richard Shepherd, 15, Sir Patrick Cormack, 13 and Sir Michael Lord, 9. Just nipped in to blog while they're voting in the first round. Beckett called herself a "House of Commons Woman". She was solid but will have confirmed the fears of those who don't think she'll push reform hard enough. She said she would not instigate change, but would "facilitate" it. Bercow tried to do the "speaking without notes" trick, but his oddball mate Julian Lewis was sitting next to him holding up prompts. I think we'll probably need another two rounds of voting after the first. 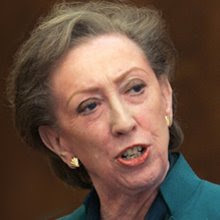 It’s looking more and more as though Margaret Beckett is going to clinch the Speaker’s position later. 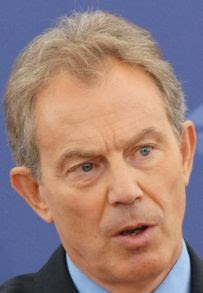 A coalition of Tory MPs who want to keep John Bercow out and Labour MPs who want someone who will be “kind” – that very word was used to me – will seal the deal for the former Foreign Secretary. Word is that Labour whips have even been employed to garner support for Beckett, the thinking being she would also be “kind” to the Government. Accordingly her odds have been shortened by the bookies. There is a big question over whether Beckett would bring the kind of radical change called for. Actually, there is a question over whether any Speaker has the power to bring about that type of transformation.